A gazette announcement permitting Gandhi to practise in the courts, May 20 1892. 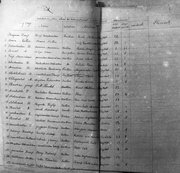 Report card of Mahatma Gandhi from Rajkot Taluka School (Primary School), November 17, 1880. Mahatma Gandhi's certificate of age signed by his father, December 1, 1880. 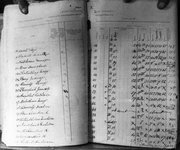 Mark sheet of Mahatma Gandhi, 1880. 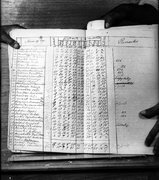 Mark sheet of Mahatma Gandhi, 1881. Mark sheet of Mahatma Gandhi, 1878.